MINOT, N.D. – The Minot State University Concert Choir and MSU Singers will present "Not One Sparrow Is Forgotten: Music from the Northern Plains," on Monday, April 15 in Ann Nicole Nelson Hall starting at 7:30 p.m. The program is in partnership with the Minot State University Native American Cultural Center. 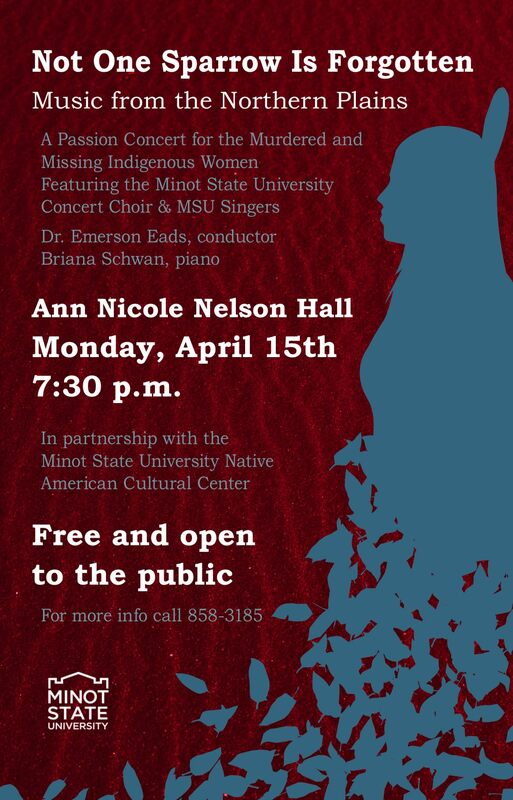 "Not One Sparrow Is Forgotten" is a passion concert for the missing and murdered Indigenous women conducted by Emerson Eads, Minot State assistant professor in music and director of choral activities, with Briana Schwan, MSU adjunct instructor of music, on piano. The concert is in conjunction with the National Day of Awareness for Missing and Murdered Native Women and Girls on May 5. Eads challenged his students to think of issues of importance in their own lives and use that passion to organize a spring concert. He was approached by Minot State students who voiced personal concerns about missing and murdered Indigenous women and men in North Dakota and around the country. Eads and Minot State University Native American Center Director Annette Mennem worked together to come up with ideas for the concert. 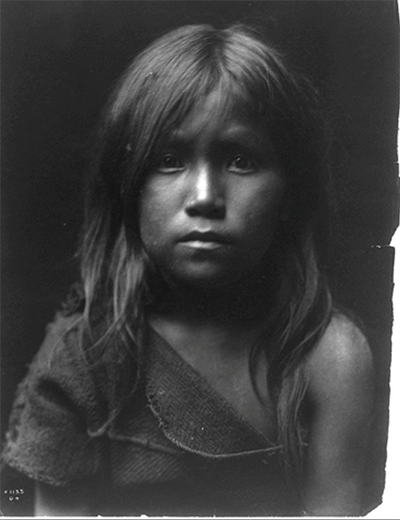 As Savanna’s Act, a bill that requires the Department of Justice (DOJ) to update the online data entry format for federal databases relevant to cases of missing and murdered Indigenous women and men to include a new data field for users to input the victim's tribal enrollment information or affiliation, was re-introduced in the United States’ Congress, Eads drew on his past, a comradery between his home state of Alaska and his current state of North Dakota, and Holy Week to write the Passion Concert. “I was approached by students and was moved by their concern,” he said. “And, fortuitously, my home state senator, Sen. Lisa Murkowski, rescued Savanna’s Act, which North Dakota’s Sen. (Heidi) Heitkamp had introduced. When I heard Alaska had joined forces with North Dakota to pass Savanna’s Act, I knew we had to respond with song. Mennem and Eads hope the concert will help shed light on the subject of injustice both in North Dakota and around the world. “Perhaps just by singing together, we can create more spaces where empathy can abound,” Eads said. The program is free and open to the public. For more information, see attached FLIER or call 858-3185.